“Freemium” users will get a boost of personalization and discovery. 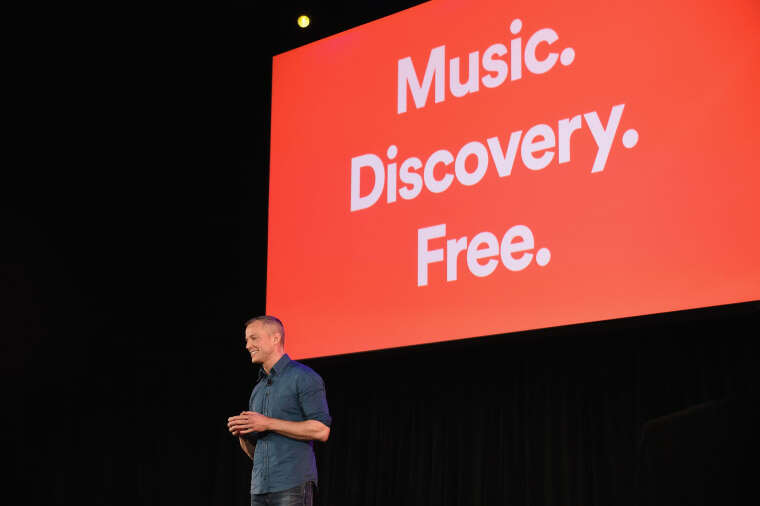 Free users of Spotify will get a more personalized experience aimed at fostering music discovery, the streaming company announced on Tuesday at the Gramercy Theater in New York City. Listeners who do not pay a monthly fee, previously stuck on shuffle mode, will have unlimited access to 15 different playlists. These will be a mix of Spotify's curated lists like Rap Caviar and customized selections that are based on the user's ongoing musical tastes, such as Daily Mix and Discover Weekly. The personalized recommendations will be initially determined by Spotify when new users select their favorite artists after they register. TechCrunch estimates the total length of on-demand music at around 40 hours. Spotify will also introduce a new mobile design, a data saver mode that cuts usage by up to 75%, and make it easier to create playlists with added song suggestions, a feature called "assisted playlisting." The new features will roll out in a few weeks. While ads will remain on the free service, Chief R&D Officer Gustav Söderström likened the commercials on Spotify to those on broadcast radio, saying that the ad-supported medium of AM/FM funded music discovery. Spotify says it has 157 million active users, around 90 million of which are free users. The platform remains the globally dominant force in music streaming, and projects over 90 million paid subscribers by the end of 2018. Its closest competitor, Apple Music, is growing its paid subscriber base at a rate that could over take Spotify in the United States.